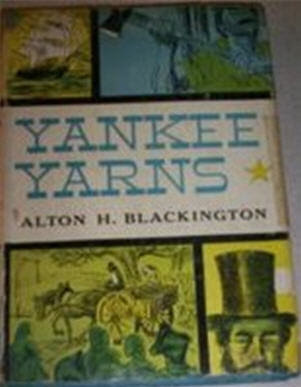 Yankee Yarns is an entertaining old time radio show about New England created by Alton H. Blackington. Touting himself as a storyteller, Alton weaves tales that are alternately amazing, eccentric, horrifying and comical. His "yarns" include stories of the sticky Boston streets of 1919, when a gigantic tank of molasses burst and coated the town, or of silly Connecticutians who gather a pool of $10 million to mine gold at the bottom of the ocean. this is a very neat otr show. good luck googleing any thing from these shows though. they are full of little known new england erea history.